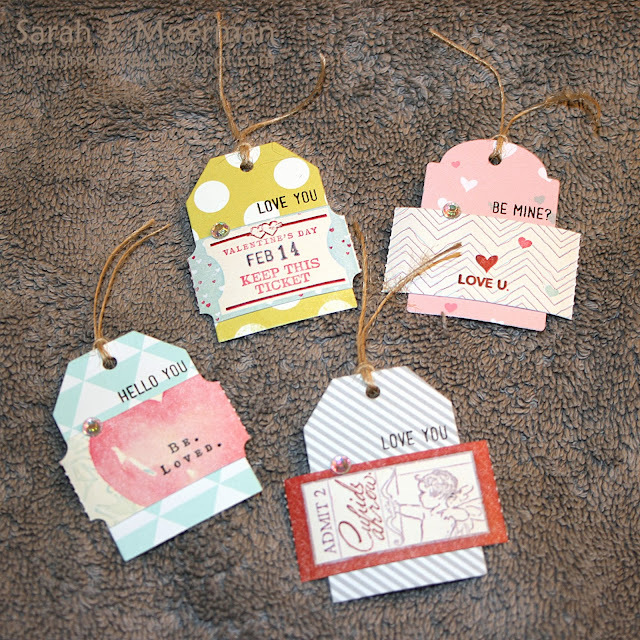 Valentine Tags (using the Simon Says Stamp January 2014 Card Kit)...and giveaway WINNER! 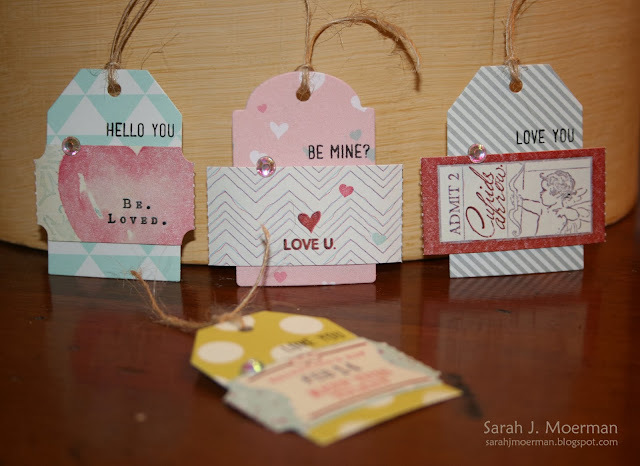 I'm popping in to share some quick and easy Valentine tags I made to go with some goodies for my kids come February 14 and also to announce the winner of the Simon Says Stamp January Card Kit giveaway. I'm still working my way through those cute little tickets and it looks like I still still have a ton left! Big Congrats, Sandra! Please email me your shipping info so I can pass it on to Simon! Wishing you a safe and healthy new Year! 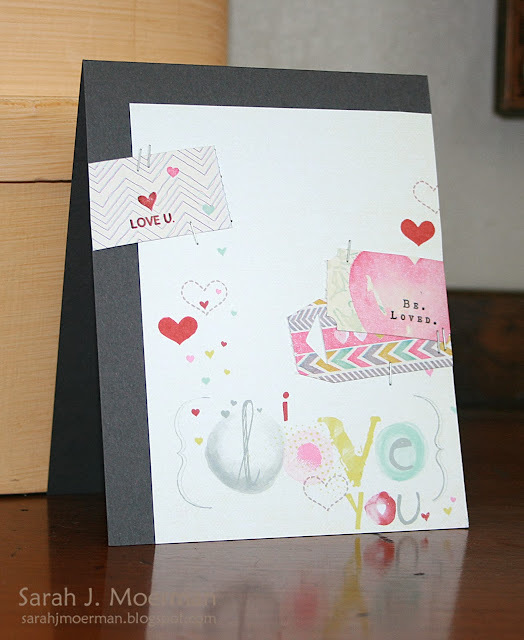 I'm back today to share another 2 cards using the Simon Says Stamp January Card Kit: Loved. 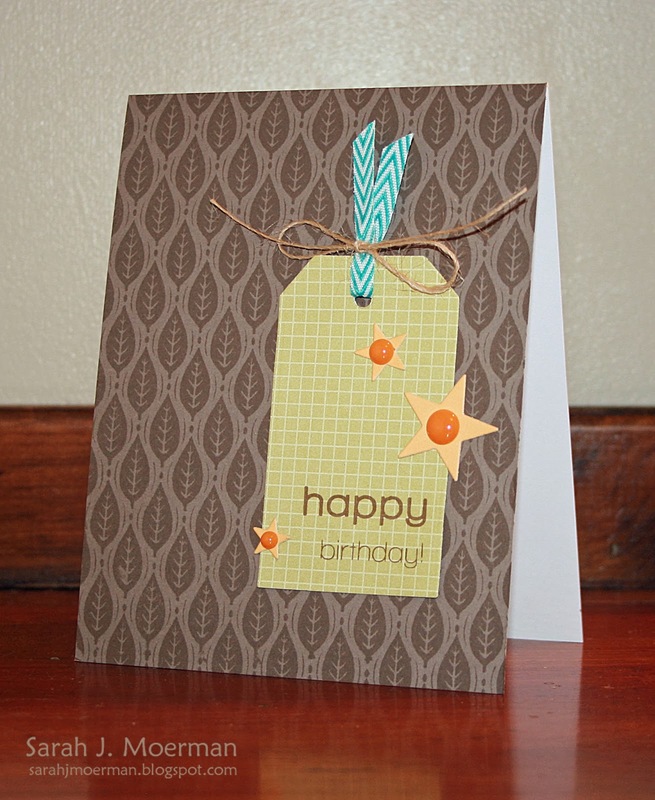 For my second card I lined up some of the tickets in a strip and tied the top one with some of twine from the kit. I love the beautiful papers found in this month's kit and didn't want to cover up this gorgeous vintage looking background paper too much. A little bit of die cutting, stamping, and gems (also from the kit) finish things off here. Thanks so much for stopping by! 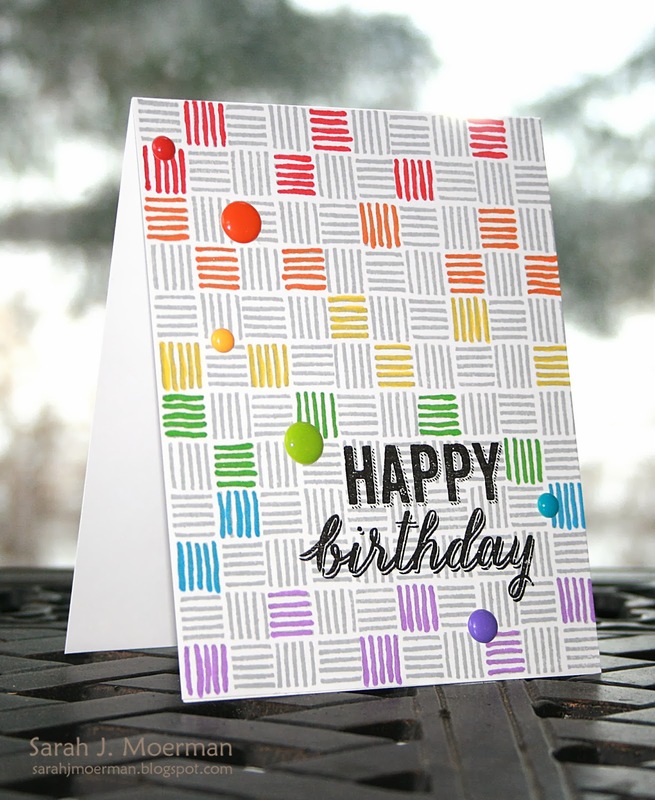 I plan to announce to winner of the Simon Says Stamp January Card Kit on Monday, December 30th.Thanks, Heidi, for allowing me to do these giveaways! Today I'm stopping by to share another card I made using some new Hero Arts. 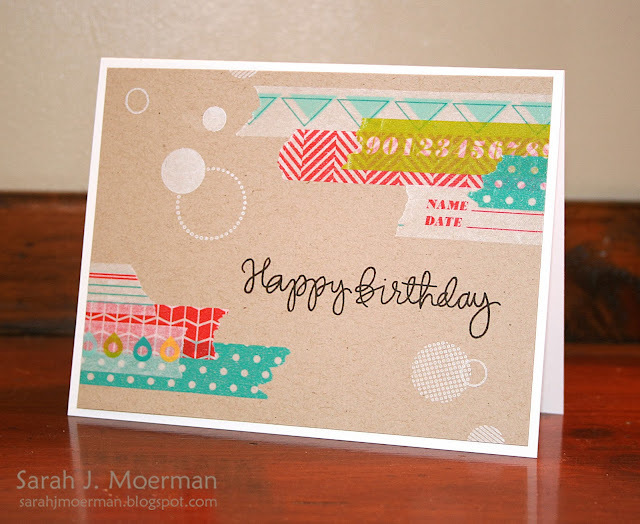 I love this new Tiny Flag background stamp and paired it up with some of my favourite Simon Says Stamp goodies. 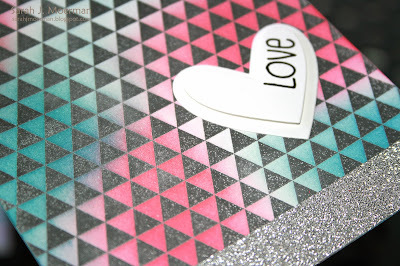 I silver heat embossed the background stamp, blended in some distress ink, and added a strip of Kelly Purkey Silver glitter tape along the bottom. I then die cut some hearts from Simon Says Stamp and used one of their love sentiments to finish it off. I'm back! 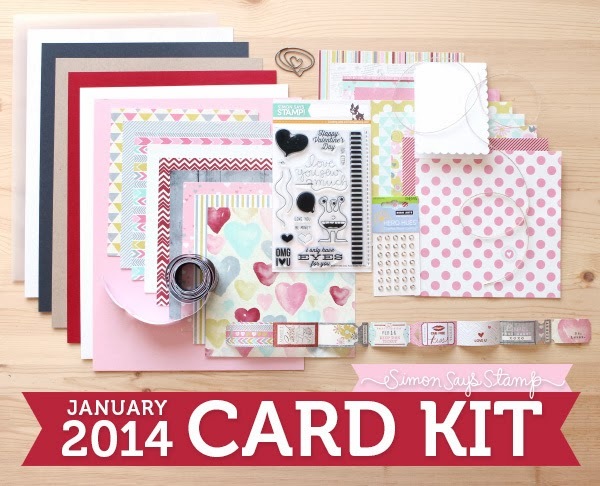 My Simon Says Stamp January Card Kit came in the mail this morning (yay!) and I sat right down to make a couple of cards. :) Since we're in the midst of the Christmas season I'm planning to share my cards 2 at a time. Thanks for stopping by and I hope you have a very Merry Christmas celebrating the birth of our Lord and Saviour! I'm popping by real quick today before I wrap our Christmas gifts to share a birthday card I made using some new Hero Arts stamps. I'll be back soon with another card featuring some new Hero Arts. 75% Off on Over 100 MFT Stamp Sets! Just a quick heads up that My Favorite Things has a HUGE sale going on! Here are the details: "In anticipation of all the upcoming new products we'll be releasing in 2014, we are having a HUGE sale! 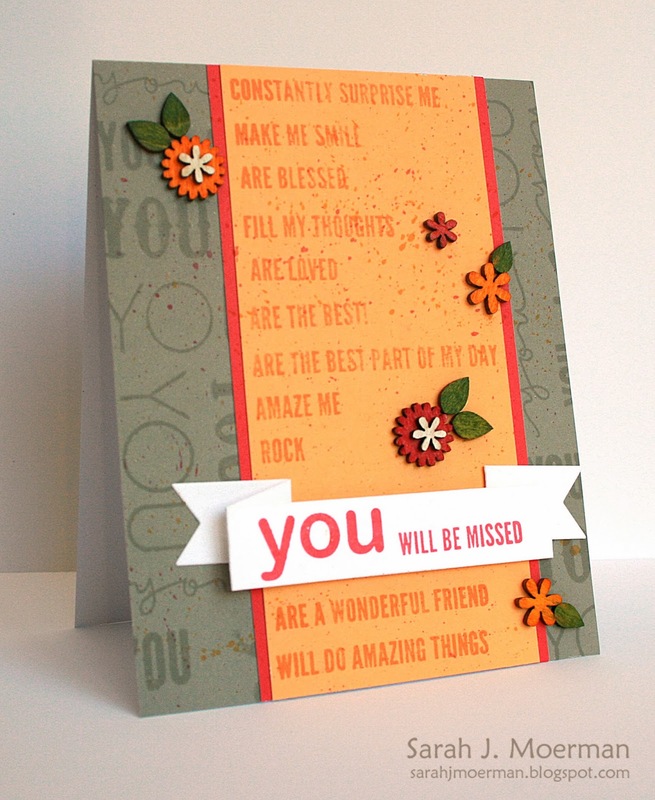 Save 75% on over 100 retiring stamp sets! Help us make room for brand new MFT goodness and save BIG. Click below to grab your favorites before they sell out". Lego Hello (with special guest) and NEW 2014 Hero Arts Release! In other news... Have you seen the new 2014 Hero Arts release!!! 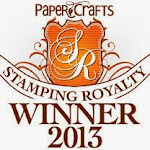 Great new stamps, dies, inks, ink daubers, ink sprays, and stencils! Happy Birthday, Men!... (and some new Kelly Purkey over at Simon Says Stamp)! I'm popping in real quick to share a couple of masculine cards I made last week using products from my two favourite companies, Simon Says Stamp and Hero Arts. For my first card I finally broke out some of the Hero Arts ink daubers and man I did I have fun with them! I like them better than similar products I've used before.I also can't get enough of this talk bubble die. Love it! 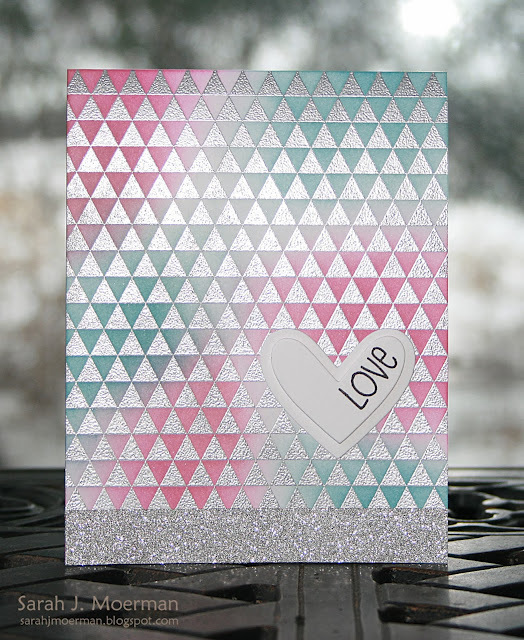 My second card is a simple one with some tone on tone stamping and embellishing. I love how the yellow and turquoise pop against the muted green and brown. Finally, I see that Kelly Purkey has a new release out over at Simon Says Stamp! 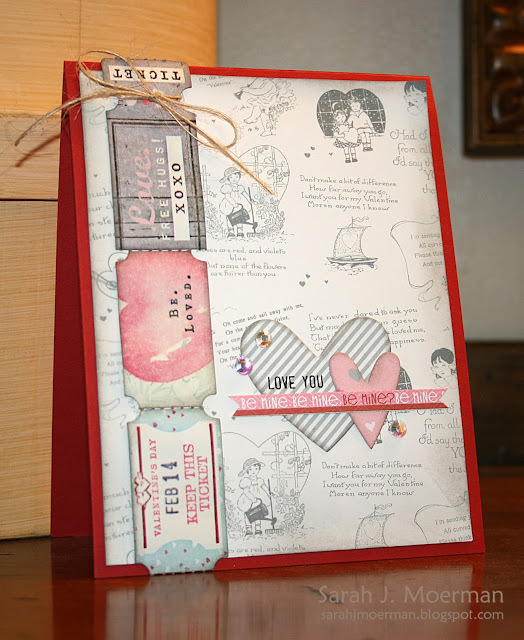 Just a quick heads up that Simon Says Stamp has a new Valentine's release and it's FABULOUS! 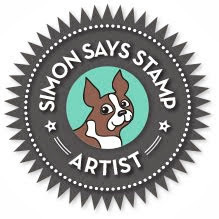 I spy a new background cling stamp (a first for Simon! ), some Simon dies transformed into stencils (Falling Hearts and Falling Stars), and the favourite 'Hello' die in a smaller size! 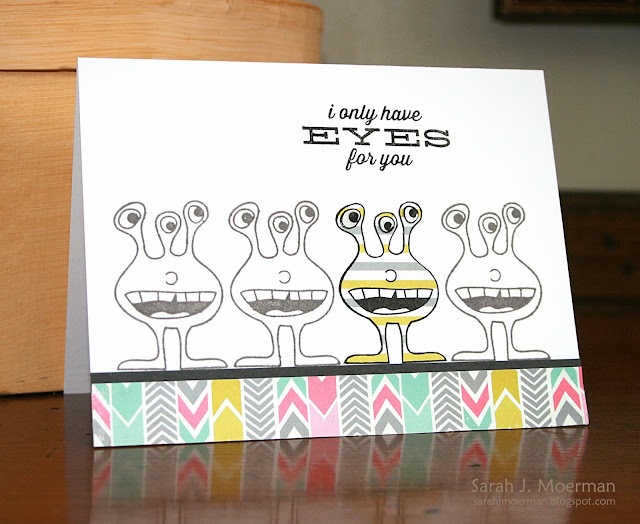 Oh...and a collaboration with Mama Elephant! Fun stuff! I thought I'd pop by to share a couple of cards I've had published in the last little bit. Forgive me if I've shared these already. I got a little scatter-brained with our recent move. Anyways, this first card can be found in Paper Crafts Stamp It! Card Challenges. 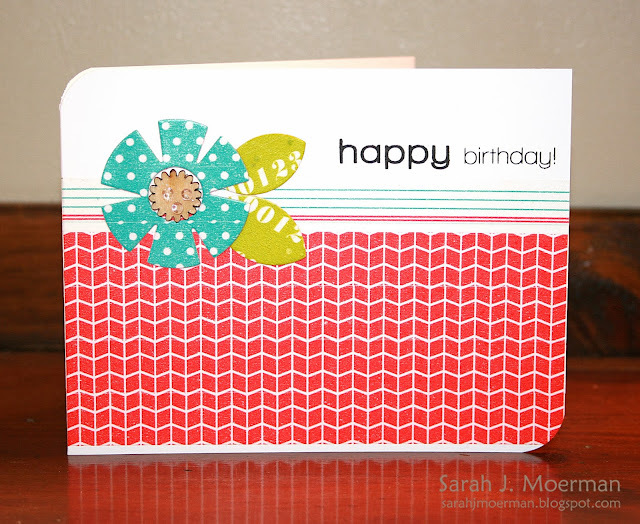 The challenge for this category was to use every stamp in a stamp set. I used the Simon Says Stamp You Clear Set. (I'm not sure why but the yellow is showing up way more orange then it is in real life). 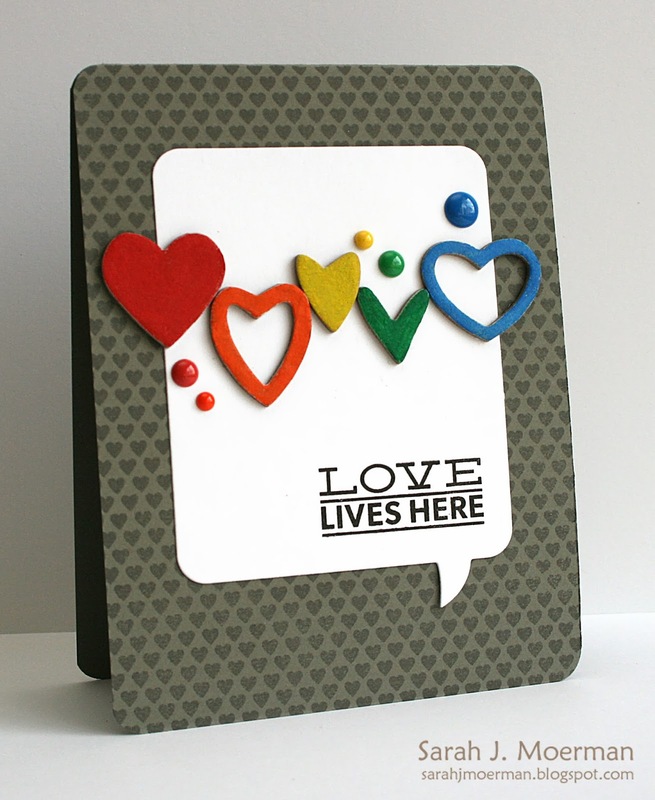 I used the Studio Calico Mister Huey's sprays and a white gel pen to color the wood veneer pieces before adhering them to the card. 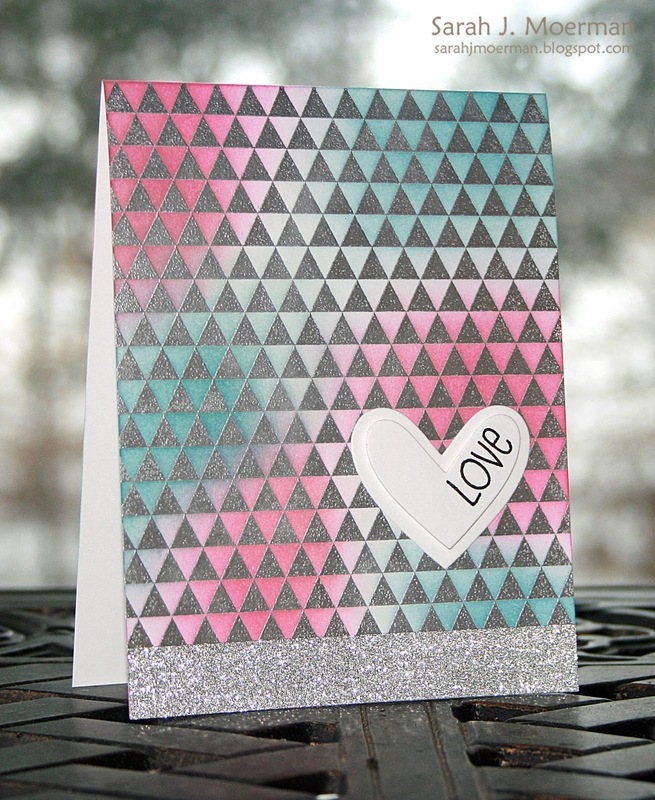 My second card was published in Paper Crafts Handmade Cards. Here I used my Inktense watercolor pencils to color the chipboard hearts before brushing on a little water for blending. 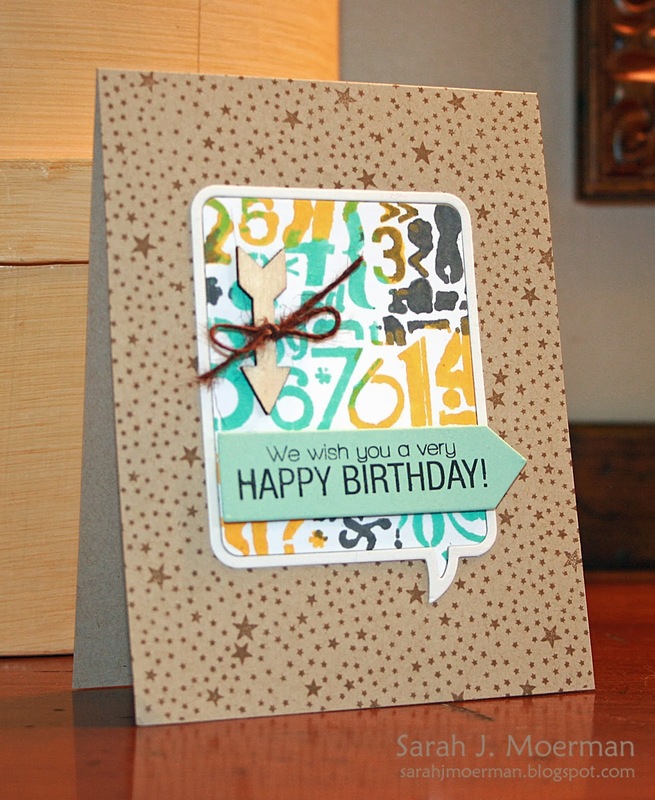 I'm back today to share a few cards I made using some yummy washi tape from Kelly Purkey/Simon Says Stamp. I'm running low of birthday cards and found the bright bold colors in this set to be just the right thing to get the job done. 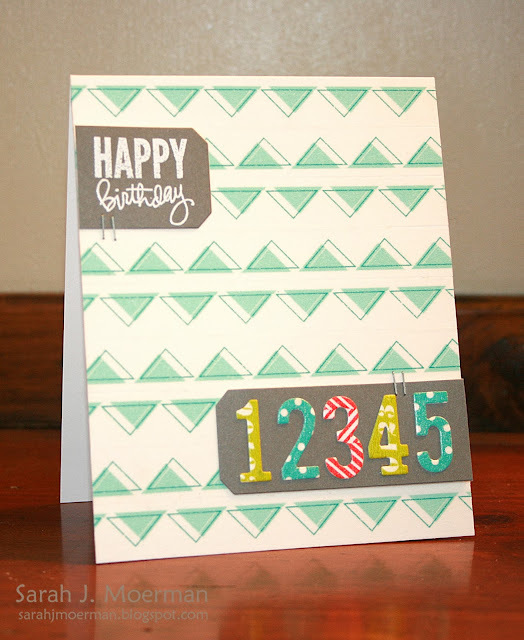 (They were also a life saver since my kids have completely used up my tape runner)! The Red Diamonds pattern above matched up PERFECTLY for making a larger background and once adhered to cardstock, the washi tape also cut like BUTTER with dies. I was able to use the Triangles tape to create the fun zig zag pattern above...and used some of the smaller patterns for the bold numbers. 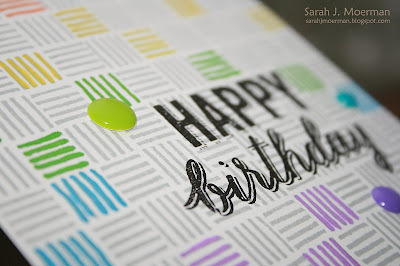 Before I go, I just wanted to mention that Simon Says Stamp has just come out with their own line of inks and coordinating cardstock (in case you hadn't heard)! Big yay! They've also come out with a swatch book supplies kit (including a stamp set) so you can make a record of the inks you have and keep their true colors handy for when you're working on projects. Brilliant! My first must haves include Khaki, Island Blue, and Green Apple. 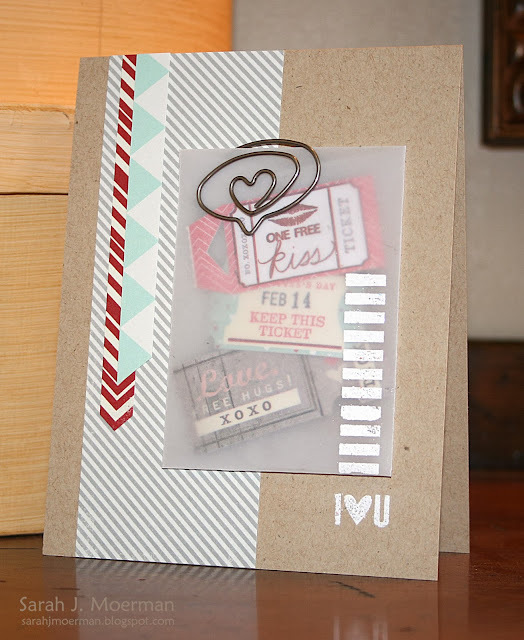 Definitely going to get the cardstock sample pack too! That's all for me today... Thanks for stopping by!